Washington - The World Anti-Doping Agency (WADA) is set to clear 95 Russian athletes investigated over involvement in the country's alleged mammoth doping programme, the New York Times reported on Wednesday. A leaked internal WADA report published by the newspaper on Tuesday said the agency found it could not gather enough evidence against 95 out of 96 Russian athletes who it has been probing. "The available evidence was insufficient to support the assertion of an anti-doping rule violation against these 95 athletes," WADA Director General Olivier Niggli wrote in the document. The report did not name any of the athletes under investigation. 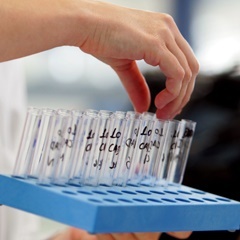 A string of WADA reports has previously uncovered reams of evidence that the Russian authorities ran a large-scale programme to help competitors cheat international doping tests. Russia's Anti-Doping Agency (RUSADA) was declared "non-compliant" with international sport's anti-doping code in November 2015 and its track and field Olympics squad and entire Paralympics team were barred from Rio 2016. An independent investigation for the agency by professor Richard McLaren in 2016 implicated some 1 000 athletes in the doping system. Moscow has furiously denied that it ran a state-sponsored scheme to cheat at international sporting events and insists it is doing its best to crack down on dopers. And Russian officials said WADA's decision only served to shed doubt on the revelations in McLaren's report. "In general the information of the McLaren report appears to be incomplete and moreover in many cases unreliable," R-Sport agency quoted Stanislav Pozdnyakov, the deputy chief of Russia's Olympic Committee, as saying. "For the moment none of Russia's 1 000 athletes mentioned in the McLaren report has been found guilty or banned on the basis of his information. Meanwhile, a year has already passed (since the report was issued)." While this latest twist may help bolster the Kremlin's claims, Niggli suggested to the New York Times that an absence of evidence did not necessarily prove Russia's innocence. "The system was very well-organised," Niggli said. "On top of it, years after the fact, the remaining evidence is often very limited." Niggli said that investigations into other athletes implicated in the doping scheme are on-going. Russia's anti-doping agency RUSADA is currently battling to get itself reinstated, but faces a list of remaining WADA criteria that it must first meet.